Follow the steps to complete PST Split Process successfully. Here we explained briefly about the working of software and how to proceed stepwise. Firstly, open PST Split Software. 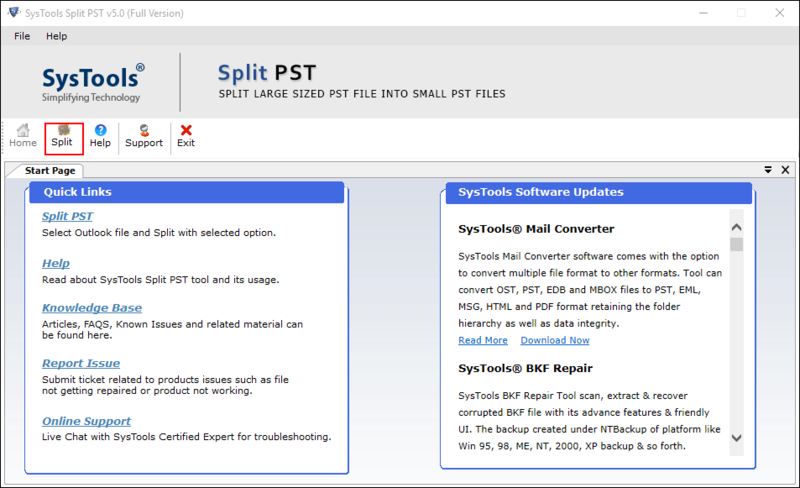 Go to Start » All Programs » PST Split Software » Outlook PST File Split Software . 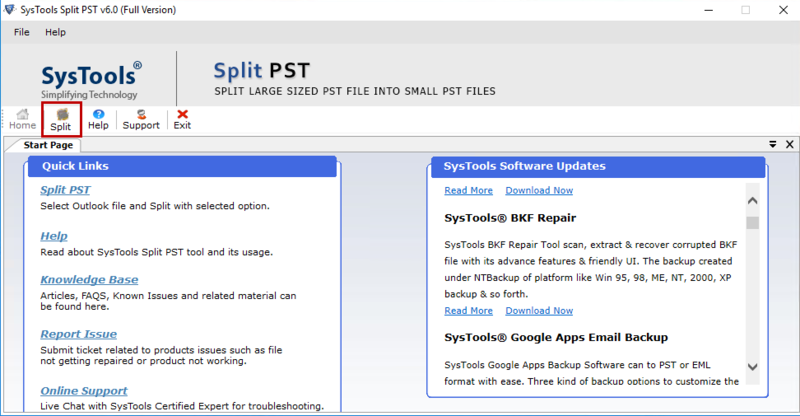 Split by Size: This option splits a PST file into the size mentioned by you. For e.g. if you have a PST file of 2 GB then, either you can split that file into 4 files of 256 MB each or into 2 files of 1 GB each, accordingly. 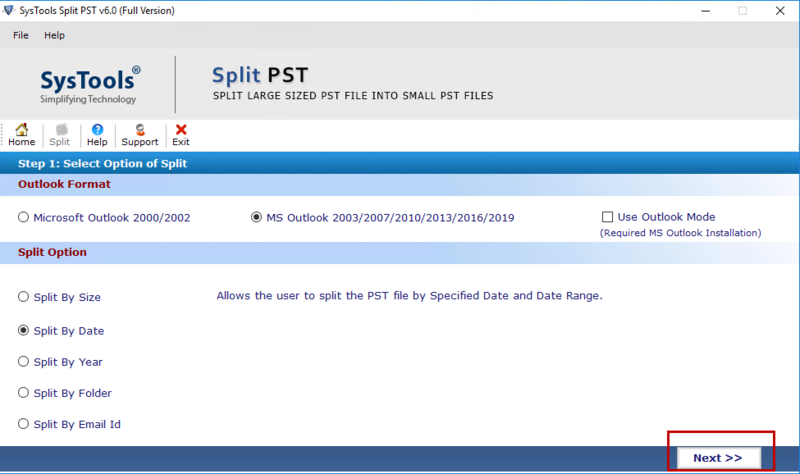 Split by Year: With this option you can divide the PST file into the date range selected. For e.g. you can break the PST file on the basis of selected date range. But you need to select the exact; before & after date, in on the basis of which you want to split your PST. Split by Folder : With this option you can break the PST file via folders (Inbox, Outbox, Sent Items, etc). If the size that the user selected for splitting is more than the particular folder then another division of that folder will be created.